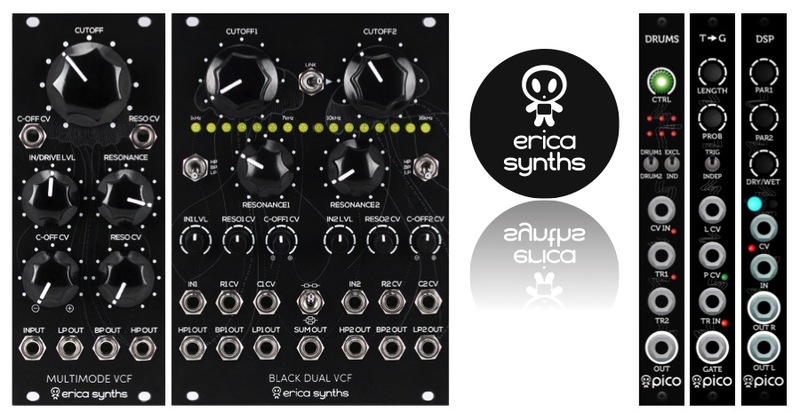 Discontinued Erica Synths Modules – IN STOCK AT HUGE DISCOUNTS! A number of Erica Synths modules have been discontinued, but stock is still available at the distributors – at HEAVILY DISCOUNTED PRICES (40-50%). All units are unused and come with full warranty. We have obtained a selection of these modules to keep in stock, while others can be preordered (as shown in the product title). For preorders, please check the individual product pages for realistic estimates of stock delivery. After the first batch sold out immediately, we have managed to secure some further units of the new SAMPLE DRUM from Erica Synths. This is a Eurorack sample player module with a straight-forward, intuitive interface, extensive functionality and great sound quality – designed with live performance use in mind. We also have tons of other Erica modules in stock, including most of the TECHNO / DRUM SYSTEM range, selected modules from the BLACK range, plus the lovely GRAPHIC VCO and, of course, a good chunk of the popular PICO range. And cables! We also still have a selection of the hugely discounted End-of-Line modules from the BLACK & PICO ranges, but these are running out fast now……so don’t hang about if you want any of those badboys! Photos show approximate colour. 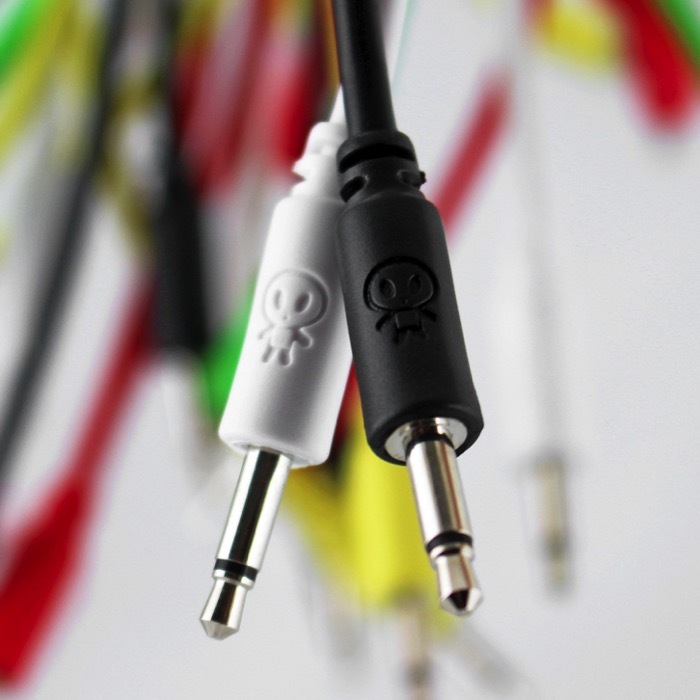 Correct cable length is shown in product name. Features strain relief at either end. These demos show the range of tones that are available from the Erica Synths PICO VCF1, a cut-down version of the Polivoks Filter circuit. Particular attention is paid on all demos to the level feeding the filter, through tweaking of the waveform mixer’s channel levels. This allows for control over the growliness/ drive of the filter. VCF1 output was recorded direct with no processing. The patch for this demo was similar to Demo 01, except that the waves were changed – with a Sine Wave used for a sub, with a Saw over the top. As before, levels feeding the filter were tweaked, along with the modulation of the cutoff. Resonance was also tweaked into self-oscillation towards the end. For this third demo, the sequence was slowed down a lot, with self-oscillation applied throughout. The tweaking of the input levels to the filter create wildly different effects when they interact with the self-oscillation tones. Some reverb was applied to this recording. We now have some further additions to the Erica Techno / Drum system – the BASSLINE and DUAL DRIVE! We also have stock of the DRUM SEQUENCER, BASS DRUM, SNARE DRUM, TOMS, CLAP, DRUM MIXER & DRUM MIXER LITE with the mixers both featuring integrated drum compressors and Aux/FX sends. The GRAPHIC VCO is also back in stock, as is the full sized DRUM MIXER. We also have stock of the brand new updated BLACK HOLE DSP 2 – an updated version of Black Hole DSP features 24 custom effects. Each effect has 3 manually and CV controllable parameters, manual and CV control over sampling frequency for spanning from 48kHz to really Lo-Fi crunchy sound and full analogue dry/wet control. All effect parameter settings can be saved to the memory and instantly recalled with the effect, which makes Black Hole DSP II ideal for live performances. Effects patches can be changed via CV, and there is an input level control with clip LED. After the release of the new Erica Synths DRUM SEQUENCER we have now received the first of the modules to fit alongside it: BASS DRUM, SNARE DRUM, TOMS, CLAP & DRUM MIXER LITE. These will all form part of the full “Techno System”, with the mixers both featuring integrated drum compressors and Aux/FX sends. The DRUM SEQUENCER is also in stock, ready to ship. DRUM MIXER & BLACK HOLE FX EXPANSION ROM (restocks) …along with the new DUAL DRIVE will be here soon! We also have stock of the brand new updated BLACK HOLE DSP 2 – an updated version of Black Hole DSP features 24 custom effects. Each effect has 3 manually and CV controllable parameters, manual and CV control over sampling frequency for spanning from 48kHz to really Lo-Fi crunchy sound and full analogue dry/wet control. All effect parameter settings can be saved to the memory and instantly recalled with the effect, which makes Black Hole DSP II ideal for live performances. We are again taking orders for the large range of Erica Synths modules which are being discontinued. You really HAVE to check these deals out – all around 40-50% price drop! They seemed SOooo insane, and almost TOO good to be true, that I had to double, triple & quadruple-check them with Erica Synths before putting them up for sale! You can order these discounted modules on the site right now. The first batch of this discounted stock has just shipped out. We will continue to list them for as long as there is stock available with our suppliers. 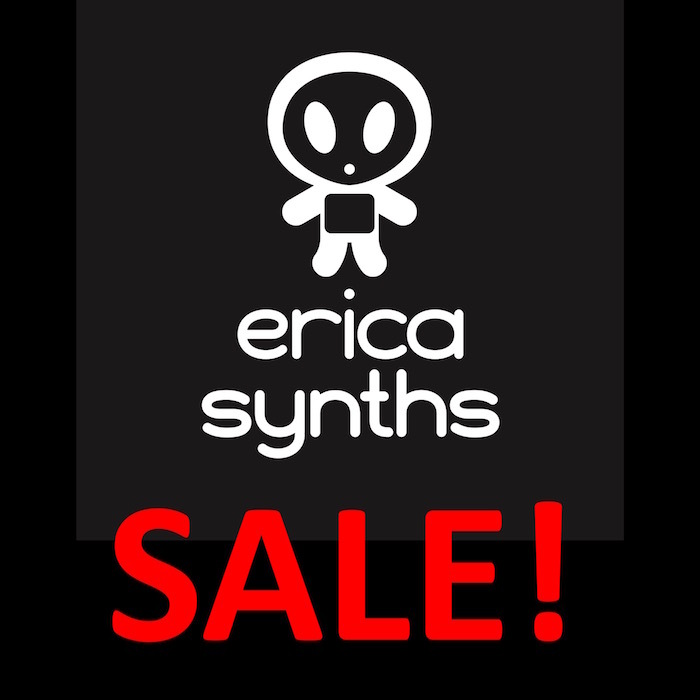 Selected Erica Synths modules at 40% discount – while stocks last! You heard it right – 40% OFF on selected Erica Synths modules! These are brand new, unused units which are being discontinued…..limited quantity of stock left! Drum sequencers don’t come much more serious than this! The new DRUM SEQUENCER from Erica Synths is an easy-to-use, classical X0X style live performance oriented sequencer module, with outputs for Triggers, Accents, LFOs and CV. We also have more stock of the lovely GRAPHIC VCO, which is a complex wavetable VCO with huge array of waves, smooth matrix wave morphing, user wavetables via USB, FM, phase distortion, ring modulation, wavefold/wavewrap, bitcrush, sub & more.. 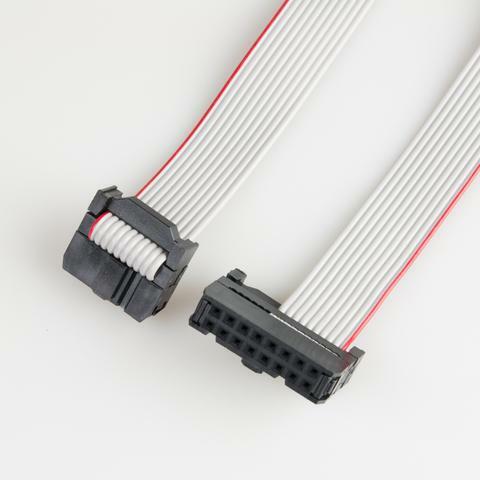 In addition we have restocked a few other firm favourites, including the PICO DSP and BLACK POLIVOKS VCF….along with a shedload of the short patch cables (10cm, 20cm & 30cm) – super handy for avoiding clutter in your patches! 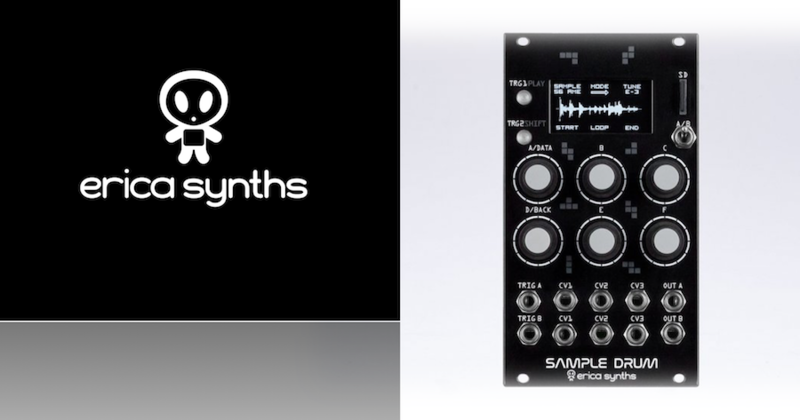 Erica Synths restock just in! including PICO DSP, VOICE, DRUMS, WAVETABLE VCO & more..
We have just taken delivery of another bunch of goodies from Latvian Eurorack superstars Erica Synths! 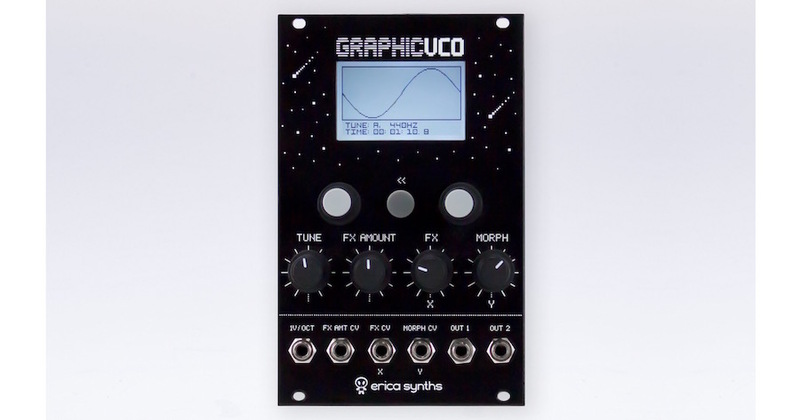 Preorders now open for the new Erica Synths GRAPHIC VCO! We are now taking preorders for the upcoming Erica Synths GRAPHIC VCO – a supremely complex and feature-packed wavetable VCO with a huge array of waves, smooth matrix wave morphing, user wavetables via USB, FM, phase distortion, ring modulation, wavefold/wavewrap, bitcrush, sub & more! 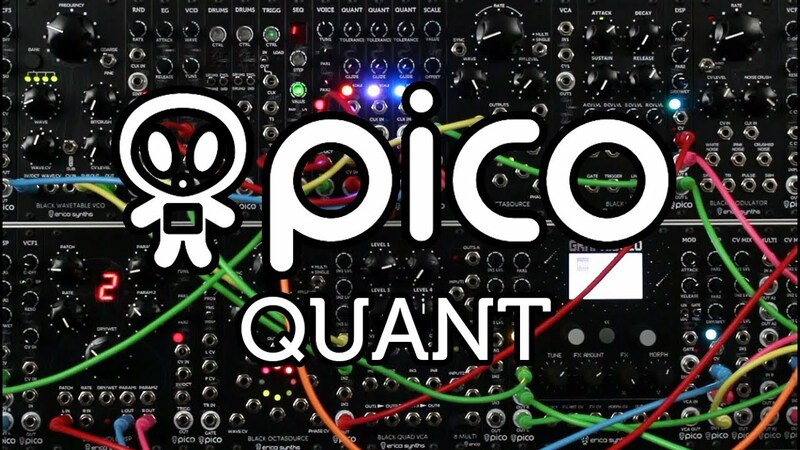 PICO QUANT – Quantizer with Web Based Editor for Custom Scale Addition, plus Glide & Clock in/out. 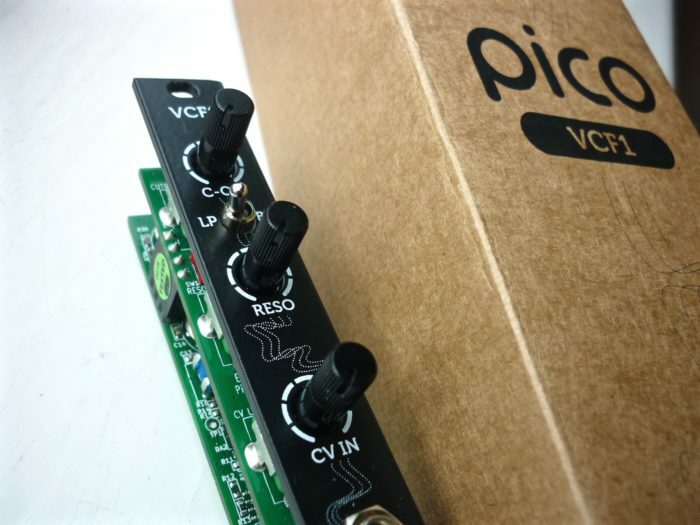 PICO MASK – Random Voltage/ S&H Module, which produces its signal based on two inputted CV Signals. Big Erica Synths restock, including BLACK DUAL VCF, MULTIMODE VCF & PICO TG, DRUMS & more..
We have just taken delivery of another bunch of goodies from Latvian Eurorack superstars, Erica Synths – tons of PICO modules in stock – just in time for Xmas 😉 – including PICO DRUMS, DSP and the new TG (TRIGGER TO GATE).